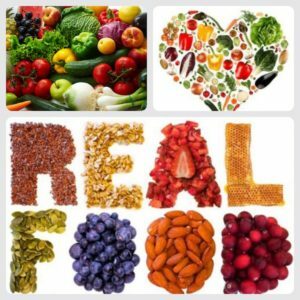 What are the 'real foods'? Food is simply the fuel to every cell in our bodies, its quality determines how much energy we have, how we feel, it influences the hormones we produce and eventually decides how long we live. All food isn’t made equal, though. New experts, as well as ancient wisdom, says that the closer to nature our food is, the better it is for us. In recent years, more and more people have been using the term of ‘real food’ to highlight what we are supposed to eat in order to achieve well-being. What are the ‘real foods’? What is the opposite of ‘real food’? Is it bad food, fake food? In order to understand it, we need to look at the whole spectrum available in the modern society. The agriculture is revolutionized, through modern means man can produce several crops within one year and make plants grow quicker. In supermarkets, we have foods with all sorts of artificial additives, for taste, consistency, texture etc. One look at their labels is enough to make one say, “this isn’t real food!”. The typical fast food products look like what they’re supposed to (bread, meat, mayonnaise) but they’re created synthetically, out of ‘pink goo’ and other hardly identifiable substances created in the lab. Again, not real food. Therefore, what do we mean by it? ‘Real food’ refers to those things that come straight from nature, with as little processing as possible. It doesn’t have to be the raw vegan type – meat, cheese, baked goods, fried food and so on, all can be considered real food when the ingredients are not lab-made and not infused with all kinds of additives. They’re nutritious, which is a main trait of good, healthy food. They don’t deliver empty calories, like fast food burgers do. Let’s think about dessert, too. You may have some supermarket sweets loaded with sugar or artificial sweeteners like aspartame. Or, you could have ripe fruit with naturally occurring sugars, honey or a home-made ice cream with real milk. The difference is staggering. With the latter ones, you can actually get important nutrients and feel good. Real food does wonders to your health. It’s what all the generations before us have been eating. A bit of education is necessary in order to be able to separate real from fake, junk food. It starts with knowing the macronutrient groups (carbohydrates, fats, protein) and the foods that contain these. Then, it is necessary to understand that not all those foods are equal. For example, it’s better to consume eggs from an organically grown hen than from ones that were raised with hormones and antibiotics. 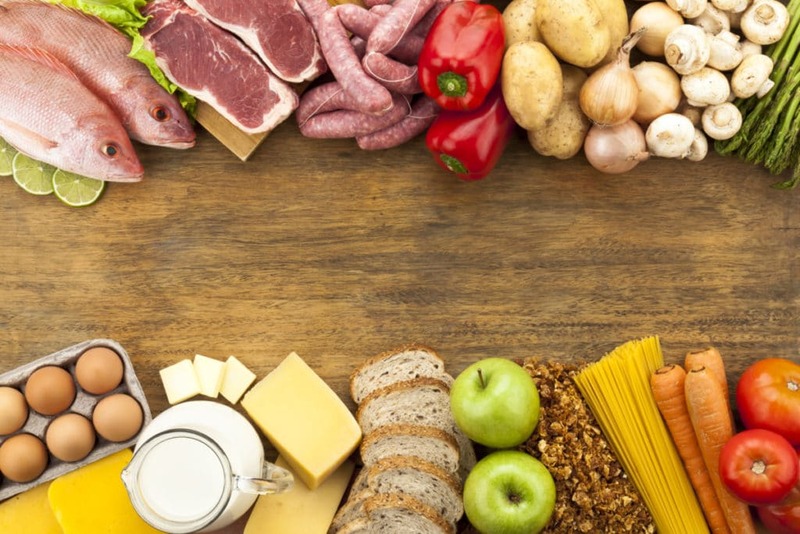 Learn about everything that you eat and start to distinguish between the different types. You will soon realize why you should change your diet. Because eating real food is the natural options for us, it is definitely expected to have many positive effects on one’s health. It is what our bodies are designed to consume and use. When you get plenty nutrients without the added toxins from additives and dangerous chemicals, or abnormal levels of hormones, you allow your body to function properly, with no burdens. 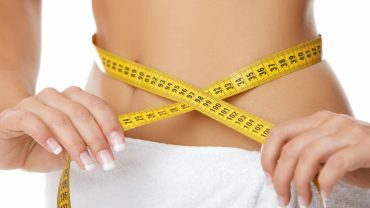 Thus, your metabolism, your fat burning and energy producing ability etc., all come to normal parameters. As this balance is restored, you can no longer gain extra weight coming from fat. Learn below how real foods can help you actually lose weight and have a leaner silhouette. Countless nutrients and derivatives are involved in everything our body does. It transforms what we eat in a myriad of compounds (enzymes, hormones etc.) needed for different functions. Its chemical composition is extremely complex. If you fail to deliver the needed nutrients, then you become deficient. Your body no longer has the prime matter to fabricate what it requires and that can have a downward spiraling effect. However, what happens with ‘modern’ food is that it mimics the good, real one. Somehow, e got the idea that foods such as butter, yogurt or milk in their natural form are fattening. Sure, they do have a high fat content, but this isn’t exactly the culprit. Then, the industry invented ‘healthier’ substitutes such as low-fat dairy. The trouble with these is that they do not compensate in any way for what’s lost of the original product. What happens is that you get less of what’s good for you and that is often replaced with synthetic additives, to boost the taste and consistency. Margarine and butter substitutes, to give a few examples, are in fact more noxious than eating genuine butter (or none at all, if you replace it with oils). Do not be fooled by the trap of the “better options” on supermarket shelves. They may have less calories and fat, but in the end you’re getting other substances, which may disrupt your hormones and metabolism and make you fat. Plus, your body needs natural fats so don’t deprive it. This aspect is closely related to the one discussed above. To see it illustrated, you may compare the ingredients in real foods versus their ‘adjusted’ counterparts. To continue the example above, we will have a look at yogurt and butter. The real yogurt, the kind you can make at home, is based on milk, cream and bacteria cultures specific to yogurt. These bacteria help the healthy flora in your gut lining, which is absolutely vital to health. On the other hand, yogurt off the shelves of the supermarket contains the following: pasteurized non-fat milk, gelatin, modified cornstarch, flavors, sugar or high fructose corn syrup, colorings, potassium sorbate and more. Why are all these things in yogurt? Should these be here? Probably not, but it has to taste good and feel attractive to customers. With all that fat taken out and the natural process bypassed, you cannot have the same thing and therefore the manufacturer needs to put in some additives. The same goes for butter: the ‘real’ version is based on cultured pasteurized cream. The ‘engineered’ one or the butter substitute has a blend of vegetable oils, including soy oil, which may be genetically modified and influence your hormones negatively. It also contains cornstarch, mono and diglycerides, sodium benzoate, soy lecithin, lactic acid, calcium disodium edta, artificial flavors and added synthetic vitamins. A wonderful aspect of choosing basic, simple foods over processed ones and cooking these yourself is that you get to control everything that gets into a meal. You need more protein and less carbs? Simply add more protein-rich ingredients to the meal you’re preparing. In need of less sugar or salt? Put only as much as you require. This goes with every ingredient. Pre-packaged food, restaurant meals etc. have a ratio you can no longer alter. You’ll have to ingest whatever went into that. Whereas, while you select and cook your own food, you can control the quantities, leave the bad ingredients aside and enrich the food with that which you like and need. You can cook it with non-harmful oils (olive, coconut), flavor it with healthy spices and so on. Real, wholesome, simple foods are what our ancestor used to eat. Intensive agriculture, fast food, processed foods and supermarkets are only very recent inventions. Sure, humans are highly adaptable beings, but the change was way too quick. We cannot possibly adapt to a new lifestyle and drastically different diet so soon. The old habits are ingrained in our DNA. This explains many of the illnesses we have today, the soaring number of allergies and food intolerance cases. When you eat loads of processed food, your body isn’t easily accustomed to that. It becomes confused, especially as it cannot recognize the many new ingredients and compounds used in such products. The vast offering of unhealthy food has one common trait: it’s very rich in fattening carbs. When you begin to eat vegetables, beans, lean meat, eggs and dairy, you get more protein, which is necessary to your proper functioning, as well as to fitness. Protein avoids the accumulation of fat and feeds the muscle tissue. You may choose to completely rely on vegetable sources of protein as long as you consume wholesome foods, you’ll be ingesting adequate amounts, while lowering your carbohydrate intake. It is particularly difficult to let go of sweets, even when you know your weight problem is because of them. However, here’s the key to reducing the amount: eating wholesome natural foods (grains, honey, fruit) will fulfill your body’s need for glucides. This will diminish your sugar craving. Try it and you’ll see it happening. You’ll no longer feel like snacking on cookies, doughnuts or ice cream when you had your share from other foods. Your sweet tooth is finally manageable and this means controlling your weight much more efficiently. Processed foods tend to have a high glycemic index. When insulin production is out of hand, the whole metabolism goes off the charts. The more sugar there is, the more imbalanced your insulin response becomes, leading to diabetes and considerable weight gain. On the other hand, healthier meals don’t cause sugar spikes and don’t send your body into overdrive. When this metabolic process functions properly, it becomes much easier to burn fat and lose weight. Junk food and all the strange experiments labeled as food in the stores today can put a huge load on your system. The body doesn’t know what to do with many of the newly engineered ingredients; therefore, it either flushes them out or stores them in the adipose tissue. Such accumulating toxins can wreak havoc and damage your health. Once you start feeding yourself with natural food, the nutrients in it restore your body, including its energy levels. In turn, you become more apt for exercising and generally making better choices for yourself. Real food is supposed to be 100% natural and thus lacking in addictive compounds. Loads of processed foods or restaurant meals are loaded with MSG (monosodium glutamate) or sugar, which create addiction in your body. This means you continuously crave eating these over and over again. A common example is the bag of chips: all those flavorful substances are artificially created and addictive. Still, you can’t have just a few pieces, you don’t stop until you’ve finished the whole bag. That’s how it works and the same goes for sugar, which is almost everywhere, including bread, sauce and soda. Ever been frustrated with diets? Most of these are restrictive anyway, which often does harm to one’s health. Diets usually tell you to eat almost no carbs at all. In that situation, the body gets stressed, as it’s left without its source of energy, and produces cortisol. This stress hormone has a fattening effect. When you eat wholesome and varied foods in right amounts, there is no need to stress – everything your body needs is there. It’s the key to balance and to a healthy weight. People switching to ‘real food’ have usually noticed a decrease in their weight over time – with as much as 40 to 60 pounds. It also depends on the amount of food they consumed, which is why portion control is still a recommended tactic. Those who want to lose weight this way and witness overall improvement must change their outlook on food and eating. The best way to prepare your meals is not through industrial processes, but through simple cooking that anyone can do at home. Remember that this is how all the previous generations lived. It’s in our DNA and a sudden change of habits cannot do any good in terms of health. The industrial processing of food can horribly alter its nutritious compounds, far beyond what simple frying, boiling or baking does to it. Apart from that, it inserts loads of unwanted chemicals into your meals. Start implementing the change now, even if it’s little by little. Then, leave your diet in charge of your weight loss goals and you might be well surprised. Can I Stop My Belly From Growing Fat ?